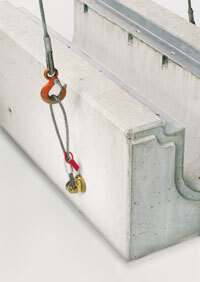 The anchor sleeves set into the channel play a valuable role when moving BIRCOsolid drainage panels. 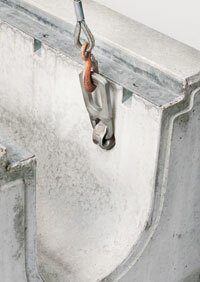 The corresponding rope eyelets can be used to grip the channel panel from the outside and move it easily. If the channel parts need to be fit precisely into a pre-assigned slot, BIRCOsolid can also be supplied fitted with interior lifting anchors, tailored to meet the unique needs of the site. This makes moving easier, reduces digging and makes for channel laying that is improved up to 30%.